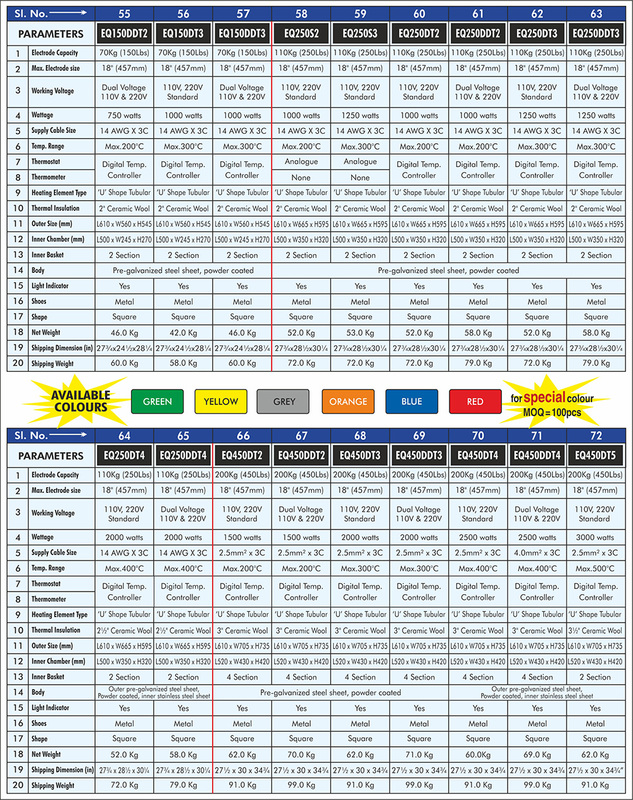 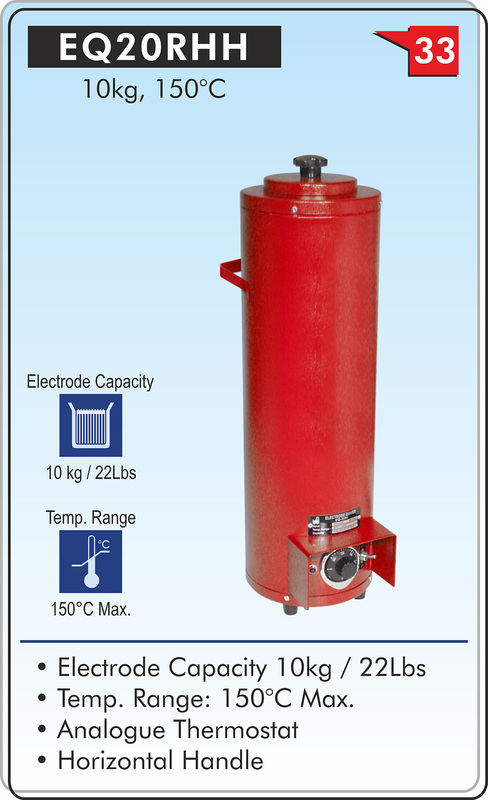 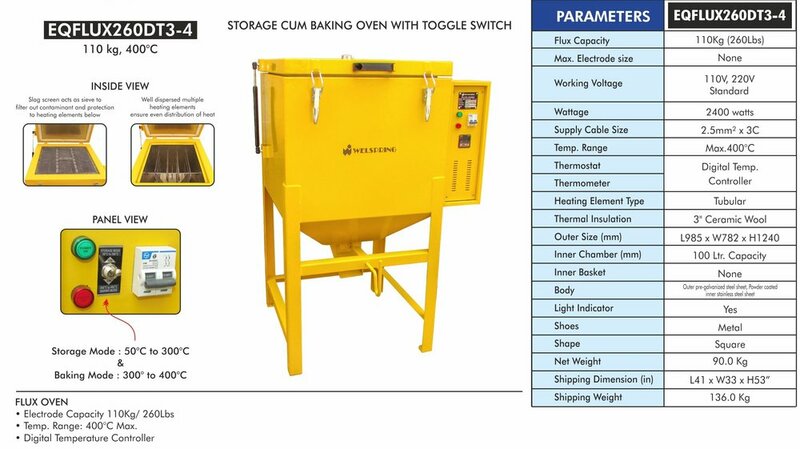 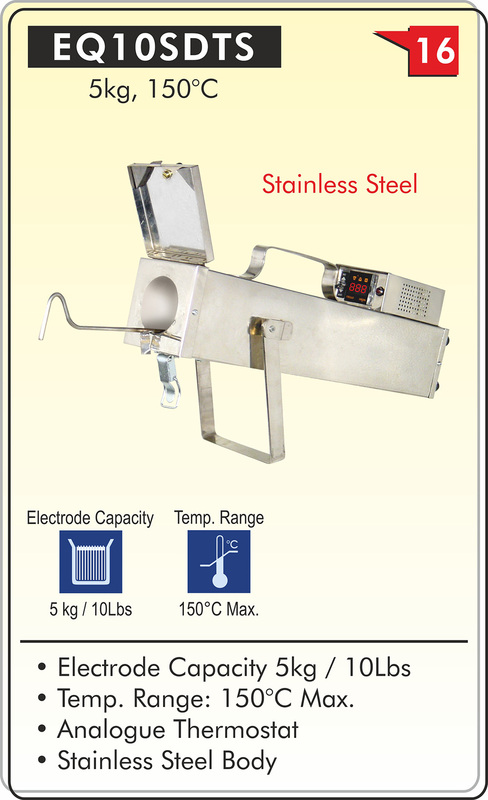 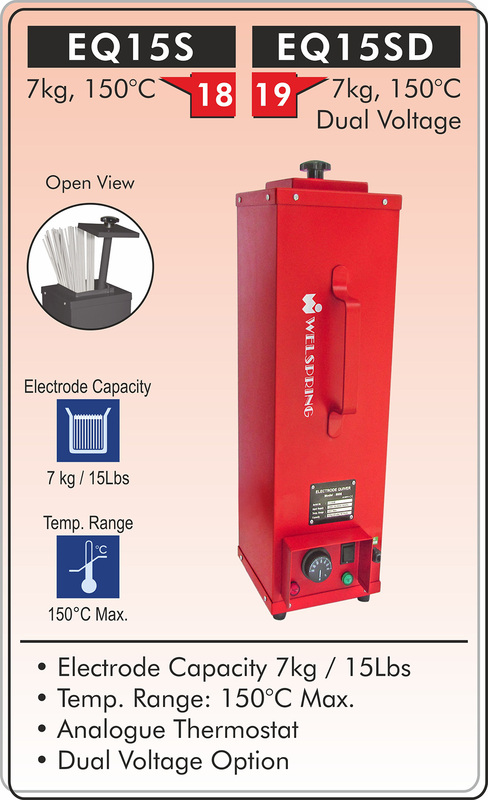 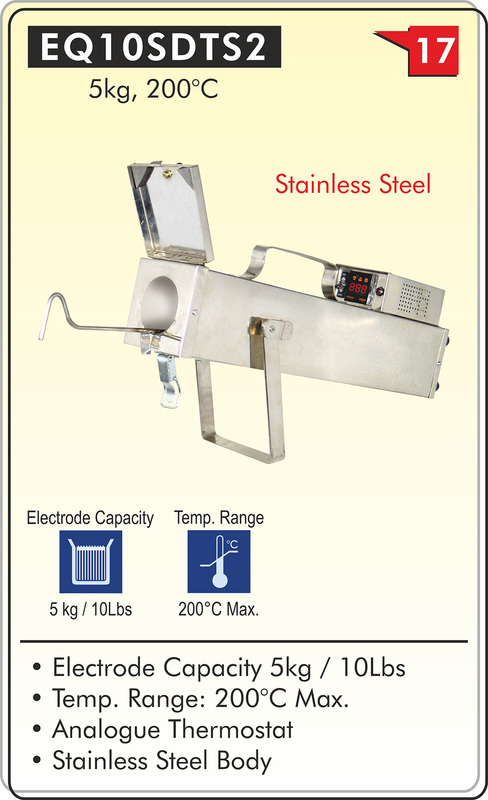 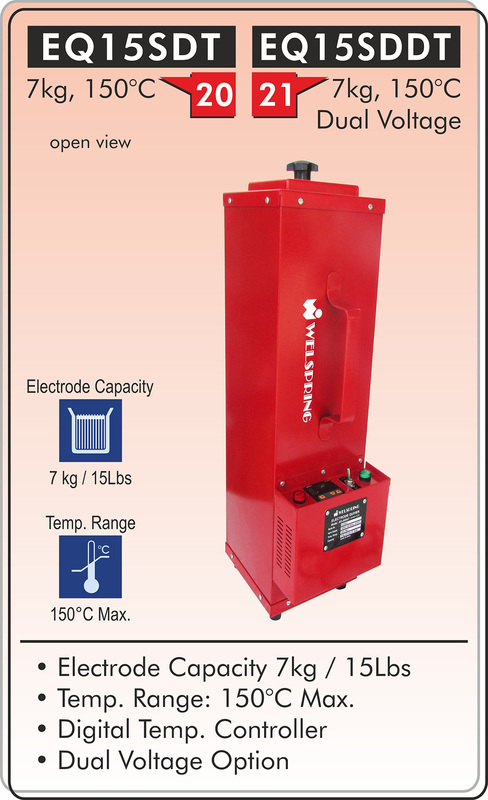 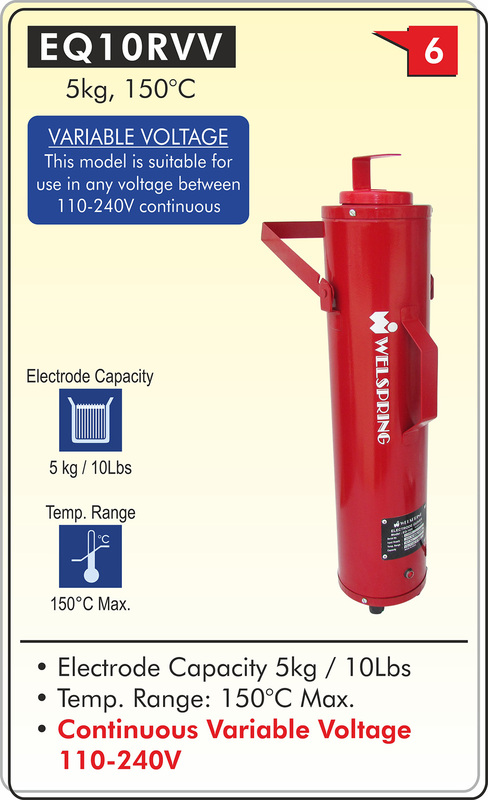 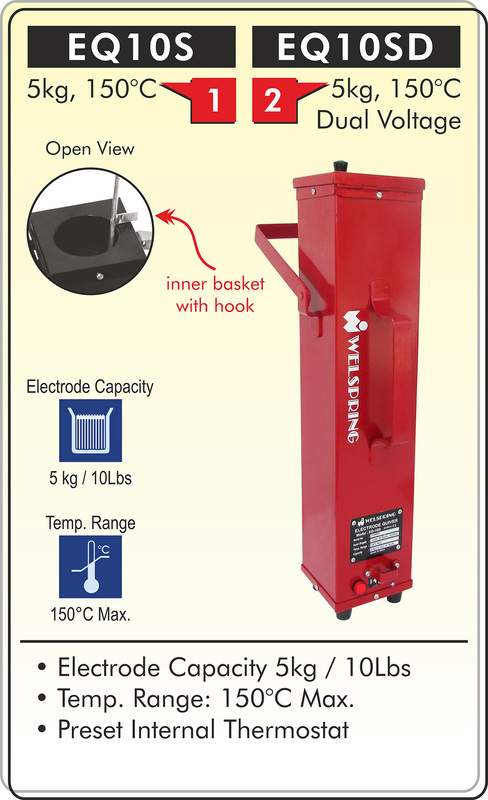 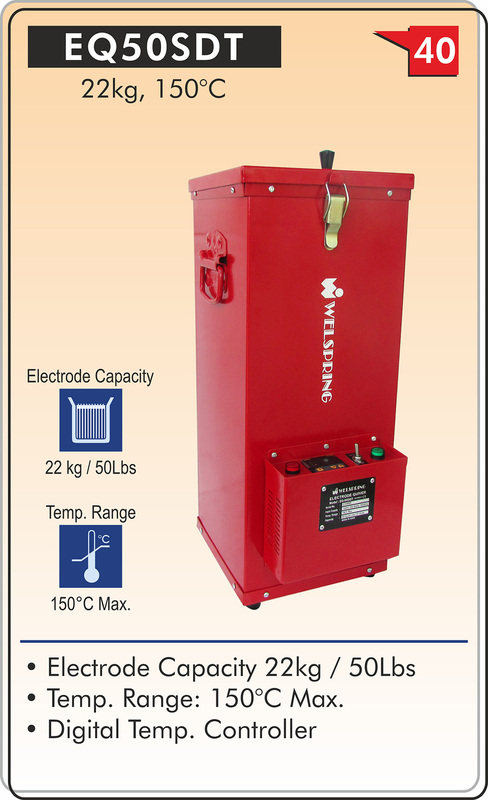 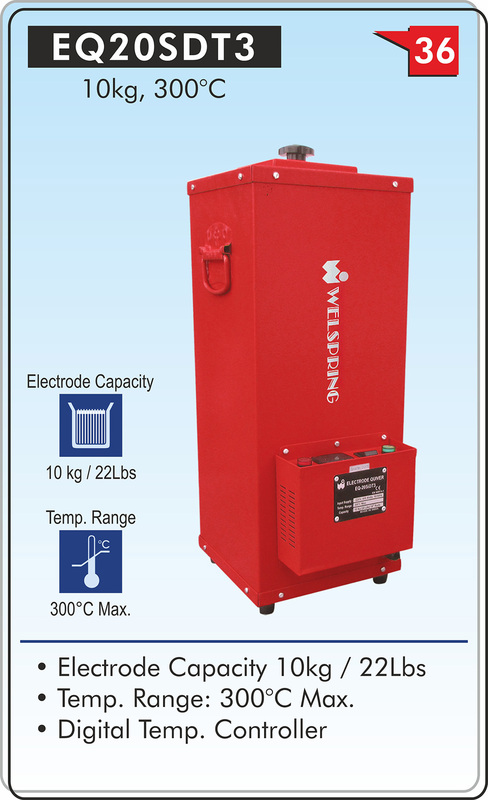 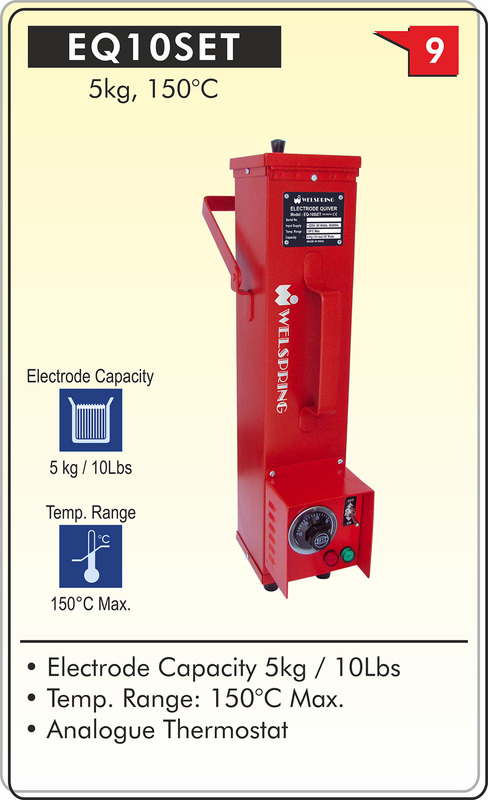 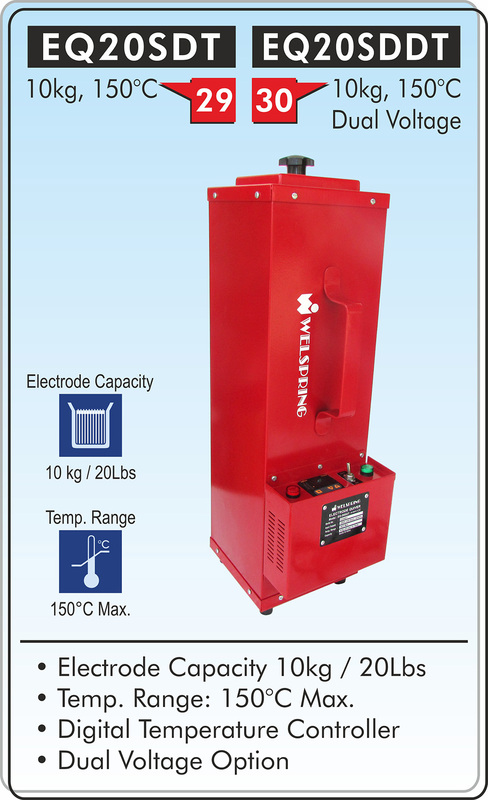 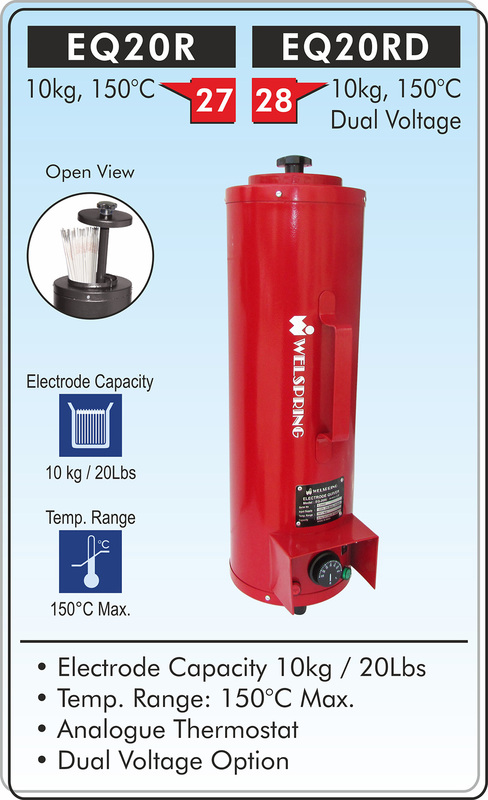 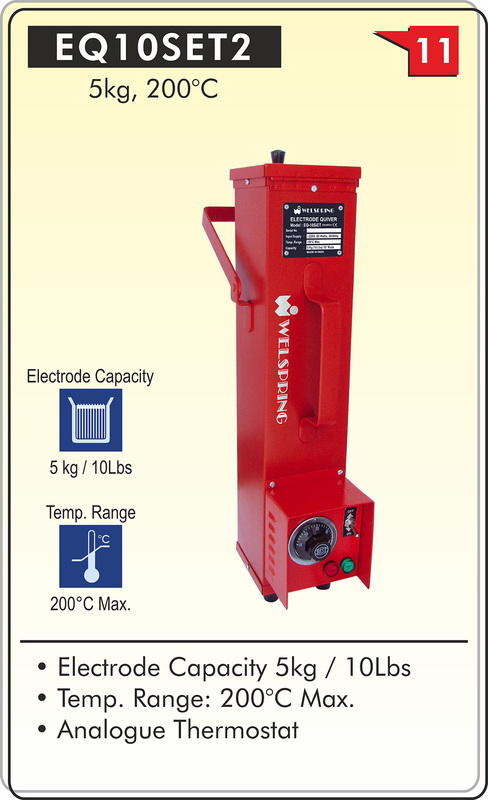 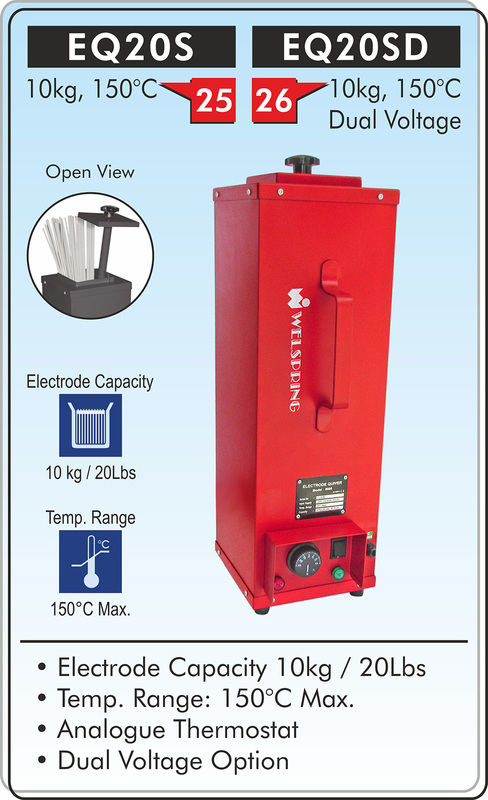 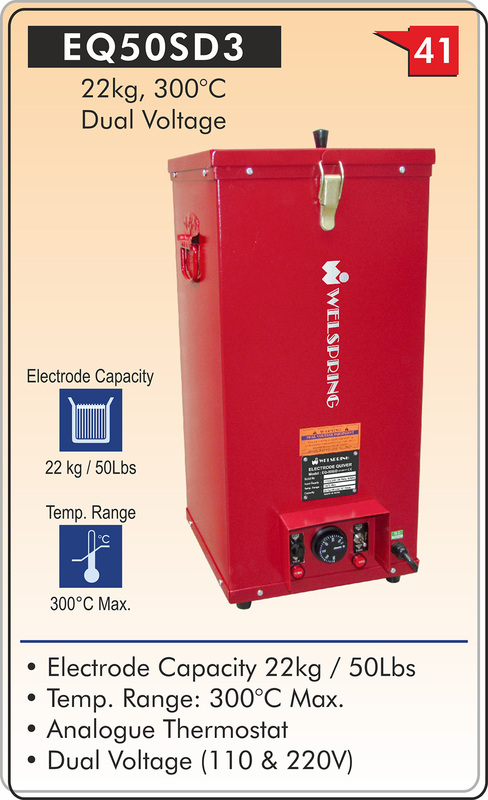 Welspring manufacture a wide range of electrode ovens, in varying capacities, for electrode moisture drying, and flux baking for SAW (submerged arc welding) applications. 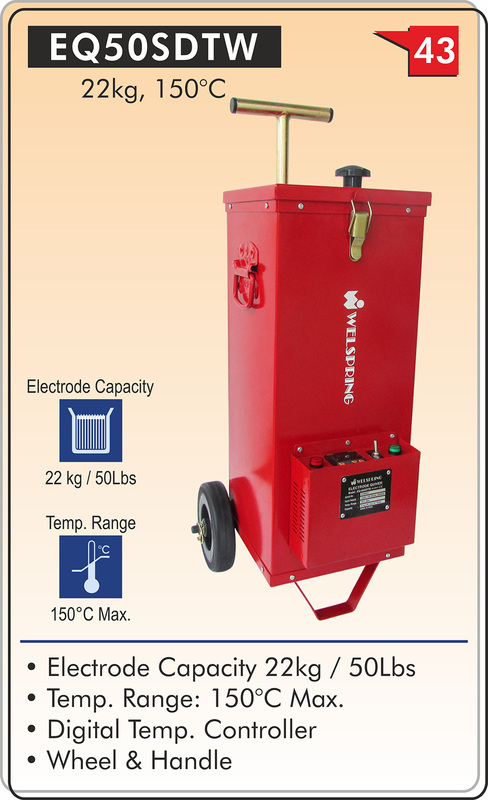 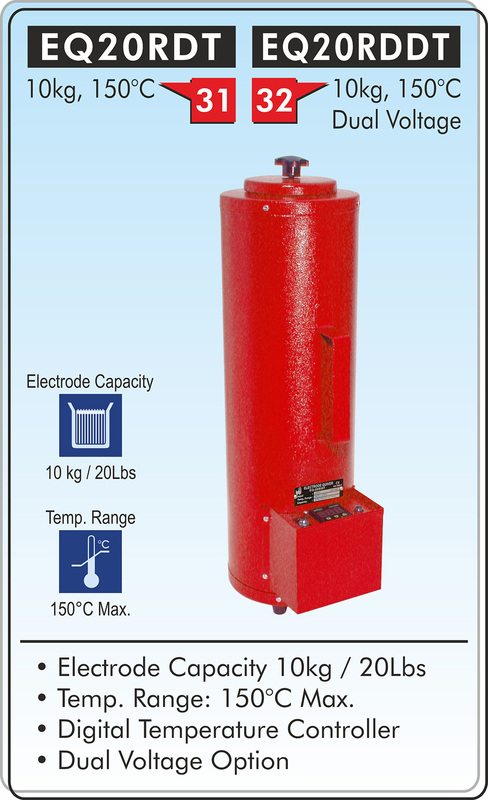 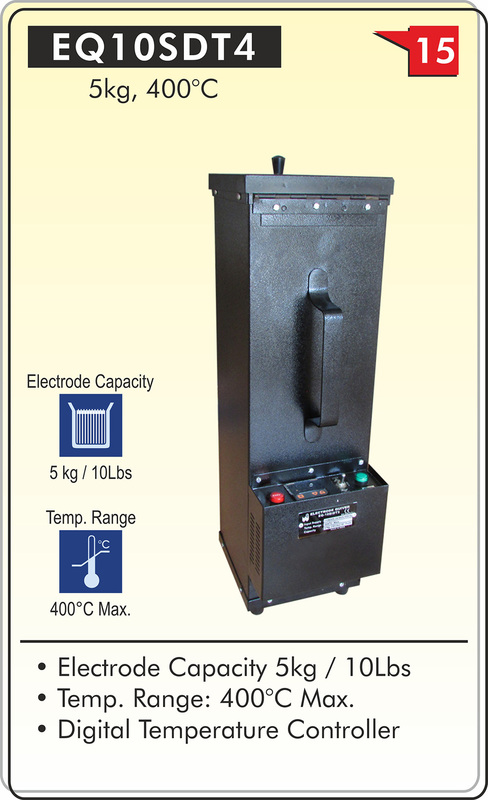 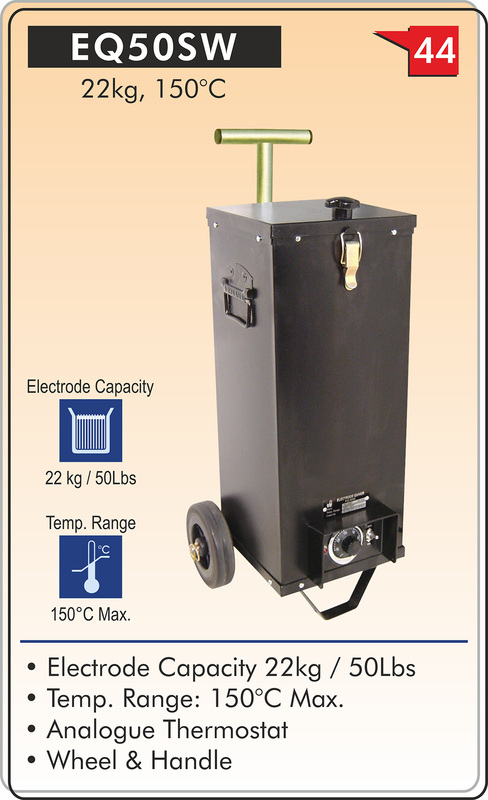 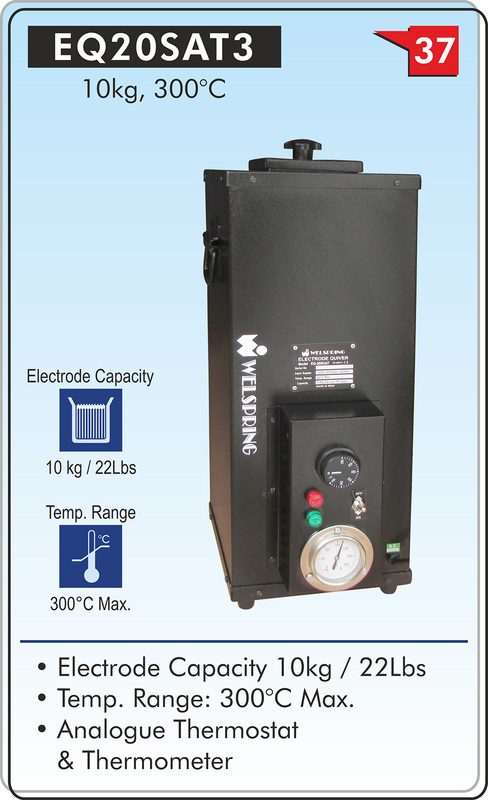 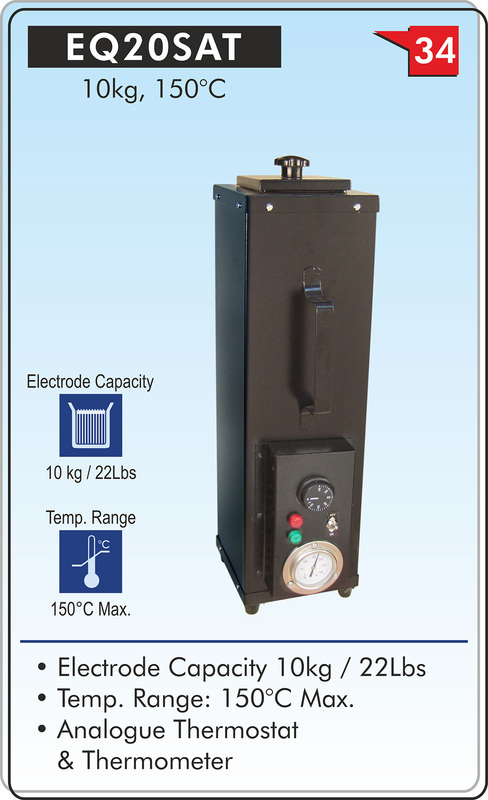 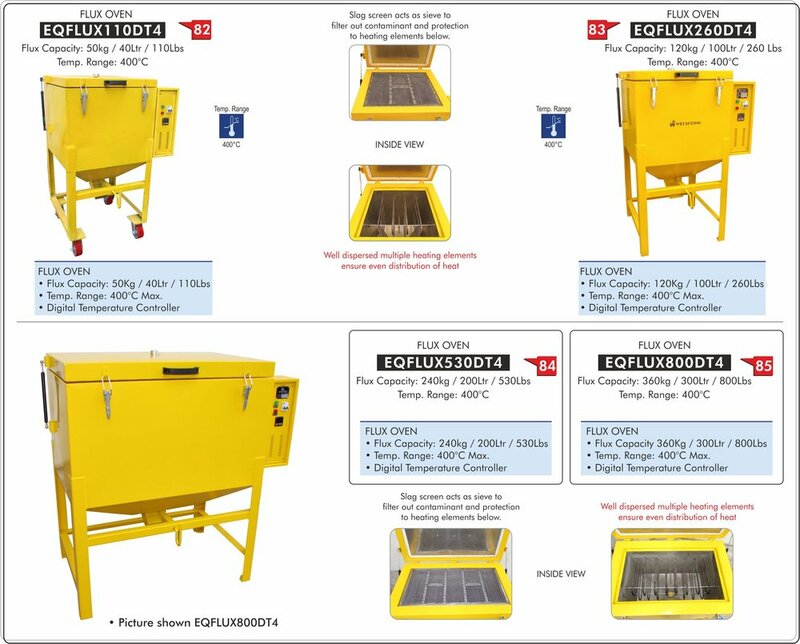 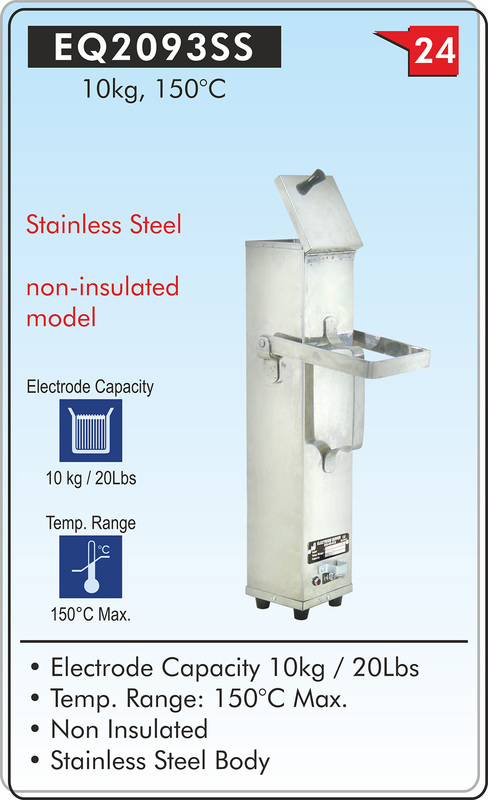 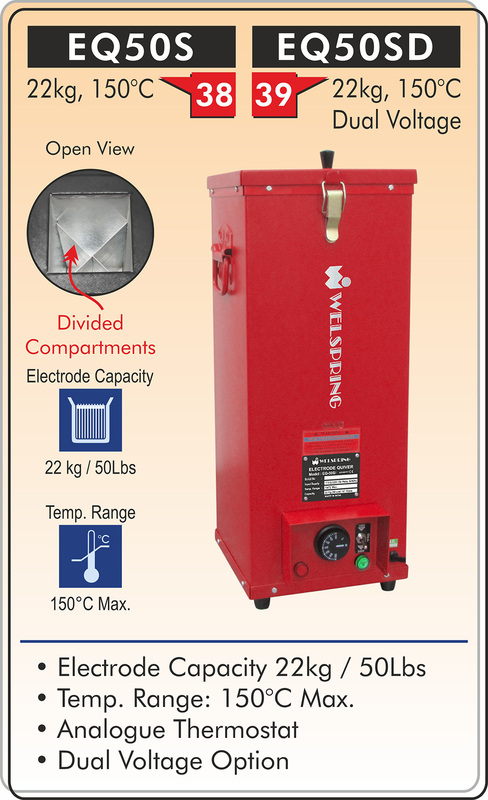 These welding ovens are designed to directly draw power from welding machines at the job site. 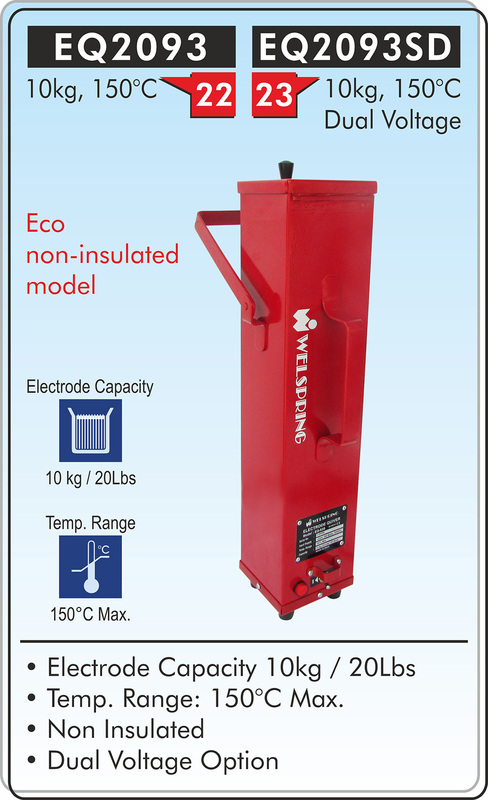 They come with earth clamps that clamp on the (+) and (-) terminals to tap into DC power.